Prior to Sunday’s Manchester derby, Jose Mourinho dug himself a hole. So when City beat Man United 2-1 at Old Trafford with Ander Herrera getting booked for diving in the 79th minute, there was only one thing for Mourinho to do: publicly badmouth City even further and instigate a scuffle with their players that results in them dumping milk and water on him. You know, the usual. Geoff Shreeves: And what do you think about that situation [Herrera yellow], bearing in mind that you said “I feel that Manchester City players go down too easily”? Shreeves: Yet…it’s almost ironic that your player is booked for diving. Shreeves: Overall, do you feel they were the stronger team though, in the balance of play, Manchester City? Mourinho: You know, they scored two very bad goals. 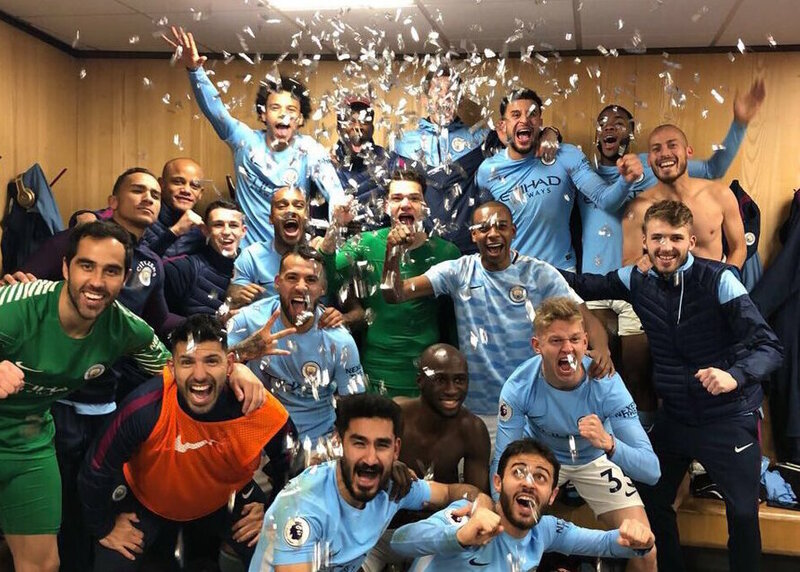 So given that state of mind, it should come as no surprise that Mourinho reportedly took exception to how loudly City were celebrating after the match and confronted the players. Namely, goalkeeper Ederson, whose fine form helped seal the victory for the noisy neighbors. Mind you, all of this supposedly took place before the video above was filmed, and I, for one, don’t see a man doused in milk and water in that video. But the Telegraph adds that it wasn’t Mourinho who got the worst of it. So to recap, Mourinho accuses others of diving before one of his players gets booked for diving and reprimanded his opponents for not keeping their celebrations more respectful when he’s never been one to do that himself. And as a result, Mikel Arteta ends up bleeding from his handsome face. Clearly the lesson here is that if you’re going to lose to your biggest rival in your home ground, you might as well burn down any remaining semblance of rationality that might still exist in this nonsensical reality of ours, too.